Effectively avoid hurting your children's or your own ear canal caused by cleaning ears blindly. With electronic micro-camera, you can achieve real-time observation of the whole process of dig earwax through the USB data cable. 5.5mm ultra thin lens with HD 0.3 Mega Pixels, easy access ear canal and see more clearly. 6pcs LED lamp brightness can be adjusted by dimmer button of the control box according to your need. Have you ever feel itchy in your ears and no one is beside you to help you check the problems? 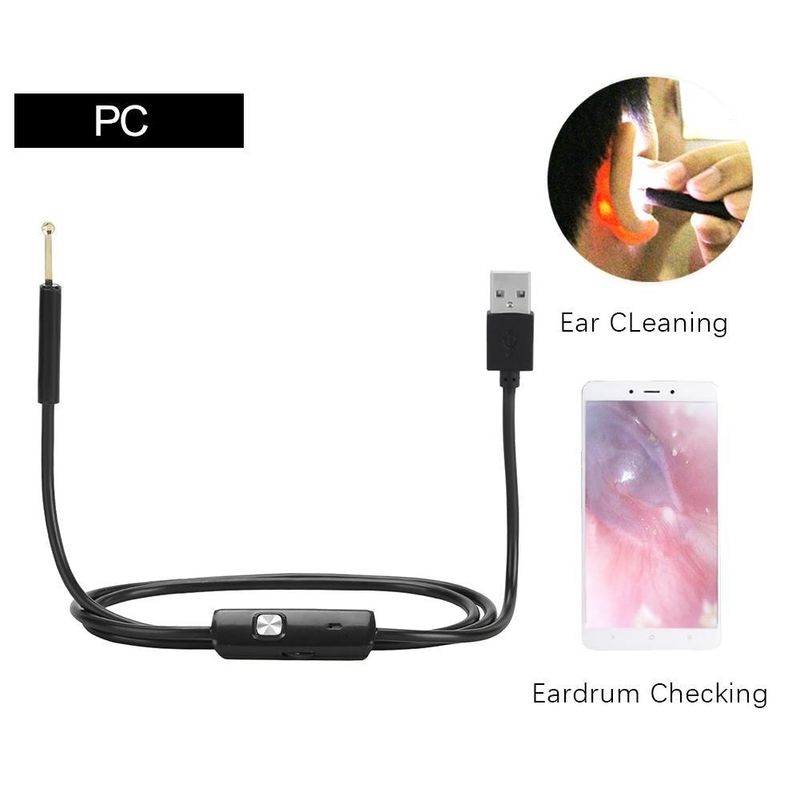 The Visual Earpick with an endoscope will help you check your ears and it can be connected with your computer, phone, from which you canclearly see the inside of your ears. What's more, you can also save images or videos and send them to your doctor for guidance. 2 metal ear spoons with soft cover, convenient and safe to clean your ears. PVC rope, environmental and flexible, convenient and durable. Multi-functional, it not only can check the ear canal, but also can check the eardrum, mouth, gums, throat, nasal cavity, scalp hair root and other body parts.